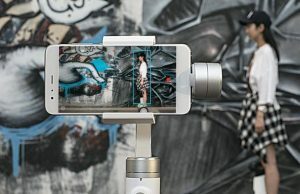 Home Blog Xiaomi 3-Axis Smartphone Gimbal Launched! Xiaomi has been very competitive when it comes to pricing and budget range tech products, especially in China. They have even launched 360° cameras, 4K Action Cameras etc.. 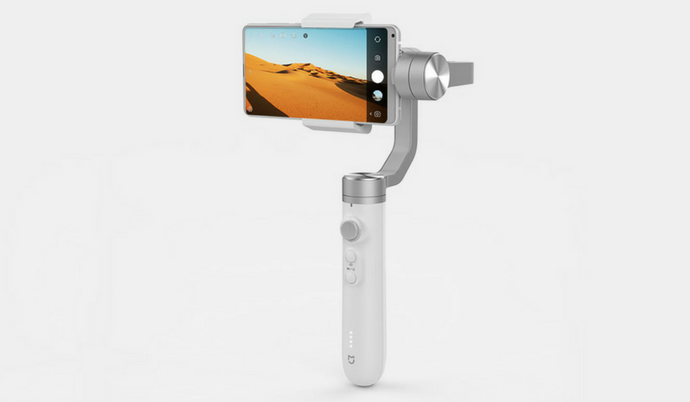 Recently they have unveiled their new Mijia Branded Smartphone Gimbal. Its a 3-Axis Stabilized Gimbal made for Smartphones and Action Cameras. On paper, this Gimbal has high precision sensors to accurately stabilize the footage. Precisely, it has a full closure servo system for real-time stabilization with 0.03-degree accuracy. There is a dedicated app which can be used to unlock features like Timelapse Photography and more others. Though, there is also a dedicated mode which can be used to switch to selfie mode to take those stabilized selfie footage/pics. The Gimbal can auto-follow a subject in 360°, once registered and the smartphone can have a maximum width of 86mm and weight of 200 grams, so it can handle pretty much all the modern smartphones. On the design front, it is made out of Poly-carbonate shell and weighs about 476 grams. The Gimbal packs in a 5,000mAh battery which the brand claims, it should be able to last the Gimbal for 16 hours which is impressive and it can also be used to charge your smartphone with 5V/1.5A. This Xiaomi Gimbal is priced around 599 Yuan in China which is similar pricing to that of their previous Action Camera Gimbals i.e, $93 or Rs 6300 which will go on sale on 16th June. As of now, there is no news about this Gimbal launching anytime soon in India but we will keep updated you @dhananjay_tech on Twitter. 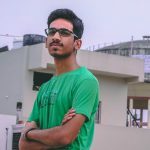 Next articleThings to remember before building PC in India!! I bought OSMO Mobile 2 last month, but not good for a heavy phone like iPhone 8+. Xiaomi products are always awesome. Let’s see when will it launch in India. Hope this could solve my heavy phone issue. awesome article. please write something related to mobile top gadgets ….